Does David Cameron read my blogs? Sadly, probably not, but I'm still pleased to see his recent announcement of the What Works Centre for Well-Being. It picks up on themes from my earlier blogs: government should not just measure well-being (which it does through the Office for National Statistics), but actually do something about it! The third annual ONS well-being survey, completed a couple of months back, shows a further small rise in ‘average happiness levels’ across the UK. It’s easy to attribute this to gradual economic recovery, and there is no doubt that, like it or not, money and personal happiness are linked. At least up to a certain level, higher income levels generally mean higher life satisfaction. But this is not the full story; a host of other factors including health, relationships, employment, housing and the local environment are also involved. The government-funded What Works research centre aims to understand what national and local governments, along with voluntary and business partners, can do to increase well-being. They shouldn’t have to search too far, as a great deal of evidence is already available on this. In particular, well-being valuation is commonly used as part of Social Return on Investment (SROI) analysis – see my blog of 7 May 2014 for an explanation of this technique. A number of databases already list well-being valuations of this type (for example the HACT Social Values Calculator). In simple terms, these show that some factors have a much greater effect than others on people's well-being. For example, health problems – particularly mental health – can have a huge negative impact on well-being, whilst other factors such as the quality of the local neighbourhood (provided people feel reasonably safe) are much less significant. Personal relationships too are hugely significant – although much more difficult for government to affect. Family-friendly policies are all very well, but people make relationships, not tax incentives! 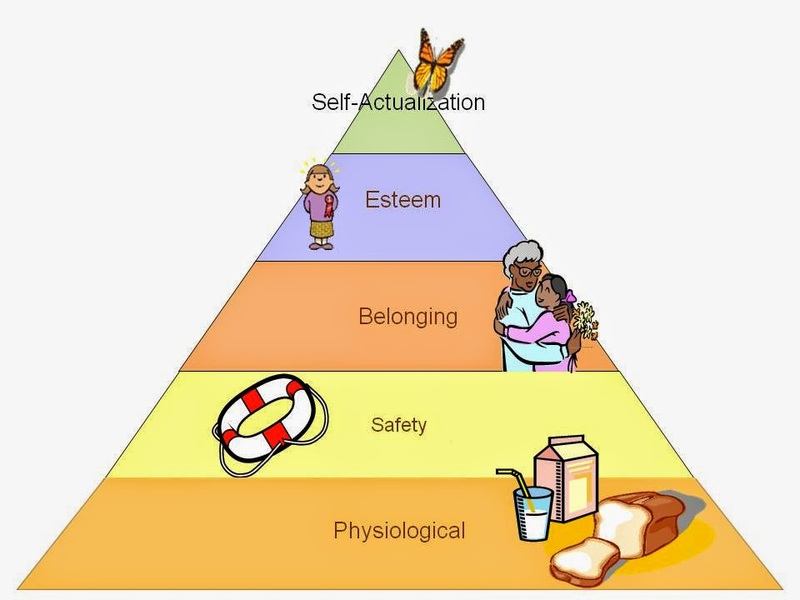 Personally, I see these themes as linked to Maslow's Hierarchy of Needs (see illustration). As people's basic needs are fulfilled, their attention turns to more aspirational aspects of their lives, and hence their well-being and overall life satisfaction increases. But of course anything missing from the ‘fundamentals’ is likely to mean a big negative effect. Government certainly cannot control all of these factors, but it can influence some. Conclusions from this type of research could help to shape government policy and prioritise spending in the future. They also emphasise the importance for all types of organisations – private, public and third sector – to consider how what they do affects people's well-being. This doesn't mean that everyone has to conduct a full SROI evaluation, but it does me that we should all ensure we understand the real impact our work has on the lives of those we work with – beyond just pounds and pence.